A UTA engineering researcher has led the development of computer tests and games, that are both web-based and contained in a cell phone application, that show and track individual human brain functioning. 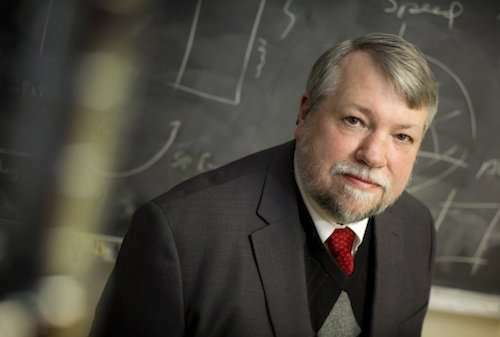 George Kondraske, a University of Texas at Arlington electrical engineering and bioengineering professor, also is the chief architect at RC21X, a Coraopolis, Pa.-based company set on delivering the brain performance technology. UTA and Home Base Impairment Co. Inc., an RC21X subsidiary, have signed a licensing agreement to use Kondraske's General Systems Performance Theory, the framework by which RC21X's tools—the clinical version of GPST and mobile application Roberto—measure a person's brain performance. UTA and RC21X have signed a licensing agreement to use Kondraske's General Systems Performance Theory, the framework by which RC21X's tools—the clinical version of GSPT and mobile application Roberto—measure a person's brain performance. Kondraske and RC21X have enlisted researchers in the medical and academic worlds as partners. They have signed or are in contract negotiations with former professional athletes, members of the professional sports community, public schools, college athletic programs, insurance companies and individuals suffering from brain diseases like dementia or Alzheimer's as clients. "We see this company and technology as real breakthroughs in determining where people's brains are at a specific point in time," said Kondraske, who started at UTA in 1982. "We see everyone as a potential user of this system. Basically, if you have a brain, you can access and use this tool." Clarence Carlos, CEO and co-founder of RC21X, assembled his team and started the company after a friend's teenaged son died from a misdiagnosed brain injury. There were no tools that provided a quick comparison to previous performance levels. "This is very personal for me," Carlos said. "With this agreement, we're going to be able to help a lot of people all over the world," Carlos said. "We're giving people access to new data about their brain. We say you can't manage what you don't measure. Now people will have objective data. Now they can make smarter decisions about their brain and see how its performance impacts everything they do." Kondraske said most brain performance tools on the market today only look at concussion results or what's been harmed. Many times, these tools also use highly subjective measures to account for differences in individuals' brains. That's where Kondraske's inventive process comes into play. Together, Kondraske and RC21X have designed a way to evaluate everyone's brain on equal footing. The unique approach to neurocognitive/neuromotor measurement and monitoring of brain performance capacities uses the science of General Systems Performance Theory, which was developed by Kondraske. In this systems approach, a human being can be viewed as a set of sub-systems, each of which possesses a certain amount of different types of performance resources. RC21X is designed to maximally stress selected sub-systems and determine "how much" of a given performance resource is available. The array of human performance resources targeted by RC21X is based on brain structure and function, and includes many of those that are drawn upon and that support performance in the more complex activities of everyday life. "GSPT tells us how to develop the performance measures," Kondraske said. "It allows us to make tasks that are target specific so we get an accurate picture of where different peoples brains are without having to change the test." Kondraske has spent decades studying human performance as director of UTA's Human Performance Institute. By incorporating GSPT, RC21X can provide new insights to brain performance—especially by combining multiple performance measures. GSPT is particularly sensitive to detecting changes in human performance over time. "That trending information is extremely valuable," Carlos said. "It crosses many sectors and industries. Once users create their normal ranges, they generate performance data that can be easily accessed in case of an injury or illness." Gus Frerotte, RC21X's president of business development, is a 15-year NFL veteran. He said that the tools' focus on performance rather than diagnostics is important. "You can be proactive rather than reactive. Maybe you have children who play sports, or aging parents or you're taking a new medication—all of these things impact your brain or the brain of someone you care about," he said. "Now, you can have some objective information and make better lifestyle decisions." Duane Dimos, UTA vice president of research, said one of the more exciting aspects of the agreement is the development of the Roberto cell phone app. He said the agreement drills directly into two of the University's main themes of health and the human condition, and data-driven discovery as stated in its Strategic Plan 2020: Bold Solutions | Global Impact. "The app makes the technology that much more marketable," Dimos said. "Everyone has access to a cell phone, not only individual users but also healthcare providers who need to access the app for patients."